As fall begins to come to a close and spring emerges, the time to start planning for relaxing vacations becomes a much needed priority for many families. What would normally be an enjoyable time for most, many adult children of aging parents looking to plan a spring or summer vacation, are met with the dilemma of not knowing what to do with aging parents who are reluctant or unable to travel long distances on family vacations. 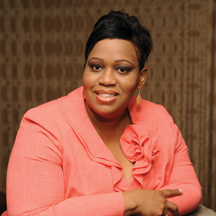 Many families are not aware that some senior living communities offer respite stays. Respite stays in senior living are designed to offer short-term, safe hotel like stays for seniors. Respite stay guests are afforded all the perks and amenities that senior living communities offer, coupled with the added component of supportive personalized care. Many caregivers can enjoy worry-free travel with the peace of mind of knowing that their loved ones are, in many cases, enjoying meaningful recreation and socialization, festivities and wholesome meals. Respite stays can also serve as a great introduction for seniors who are exploring the option of senior living in the future. Elderly parents are often reluctant to be sent to an Assisted Living Facility or another place that might meet their needs. Typically this is because the decision is sprung upon them at the last minute when they have no other choice. In addition, at that time they likely have little or no knowledge of what that facility might be like or what their life might be like at that facility. Their first impression is that they are being sent off someplace to a “prison” to die among a group of other “zombie- like” people. Now you have an excellent opportunity to change that impression without making your parents feel they are making any type of long-term commitment. You can explain they are simply going on a short-term special “vacation retreat” with other people their own age. Emphasize that while you are going off to have a “vacation” with people your own age, they can have their own “special vacation” with people their own age. Foulk Manor South offers respite stays to accommodate guests in the Assisted Living, secured Memory Care and full nursing care. Like its permanent residents, respite stay guests are able to indulge in a full menu of delicious meals prepared by a team of chefs daily, a calendar of exciting events and a variety of trips to enjoy – all while having their care needs met by a qualified staff of nurses and certified aides. 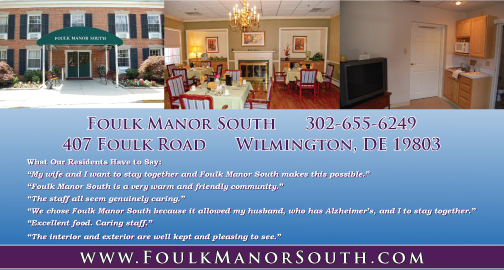 If you’d like more information on a respite stay at Foulk Manor South call Tamme Hackett at 302-655-6249. Foulk Manor South is located in Wilmington just minutes from the city’s historic and cultural areas, it is nestled among the history and tradition of the Brandywine Hundred community.